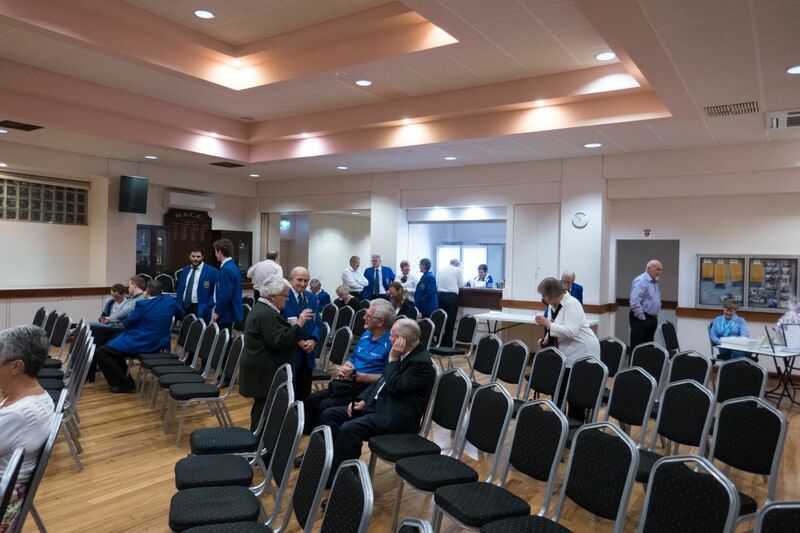 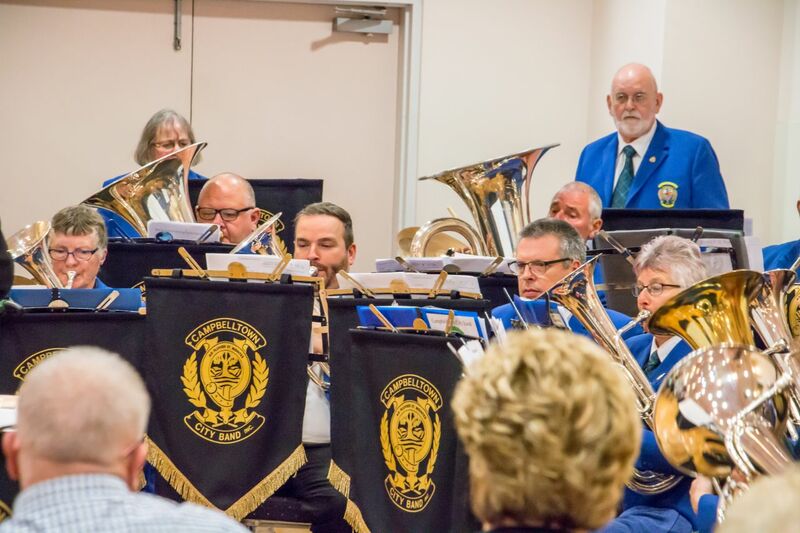 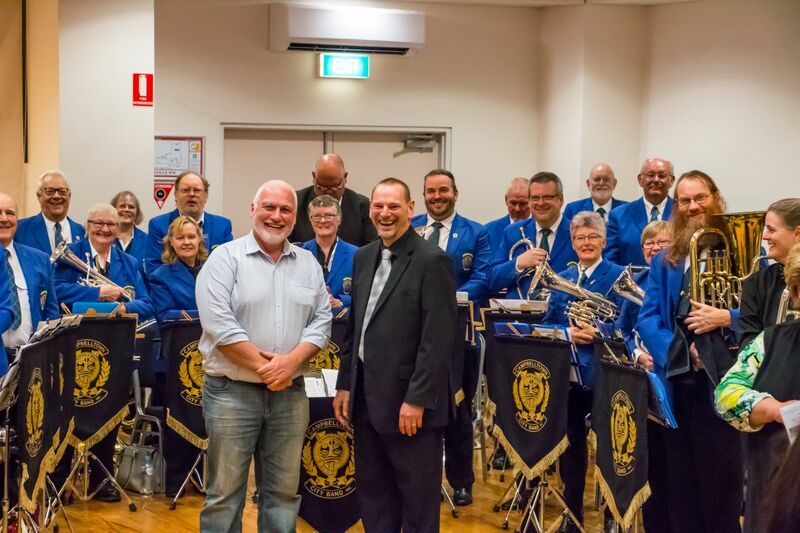 One of our major concerts for the year – titled ‘Bigger Than Ben Hur’ – was held in the evening of Saturday 22nd September. 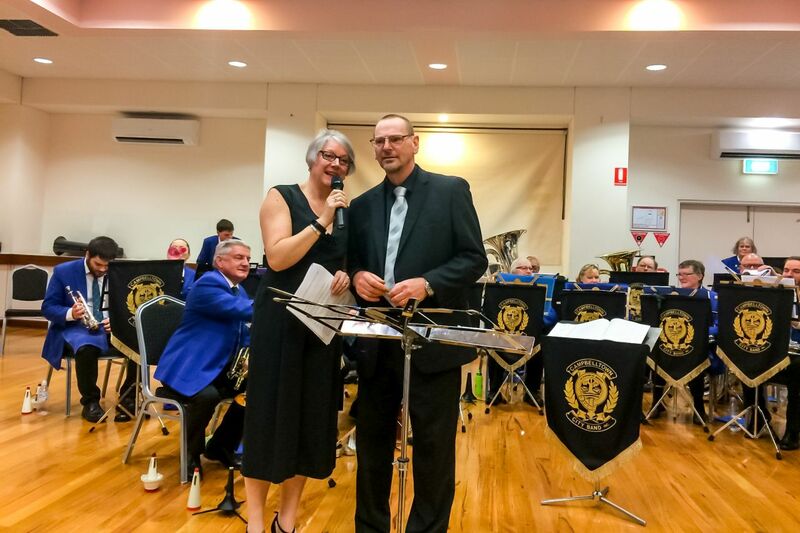 Our special guests for the evening were DaDux. 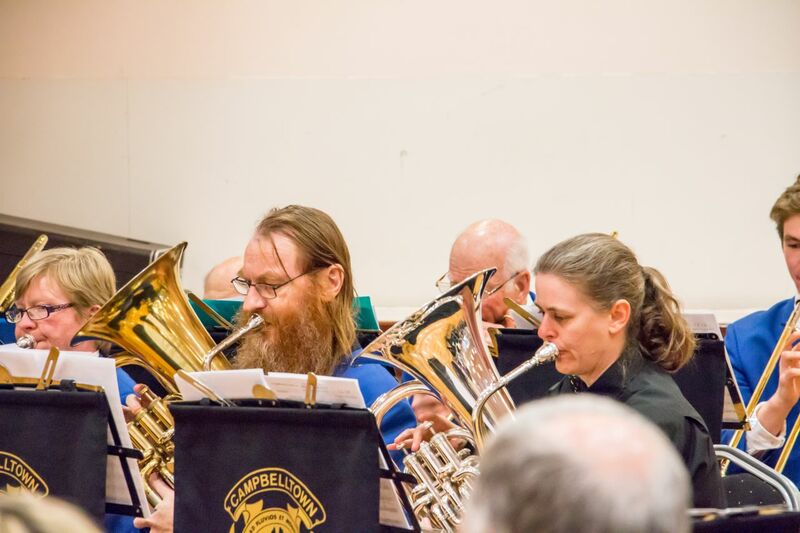 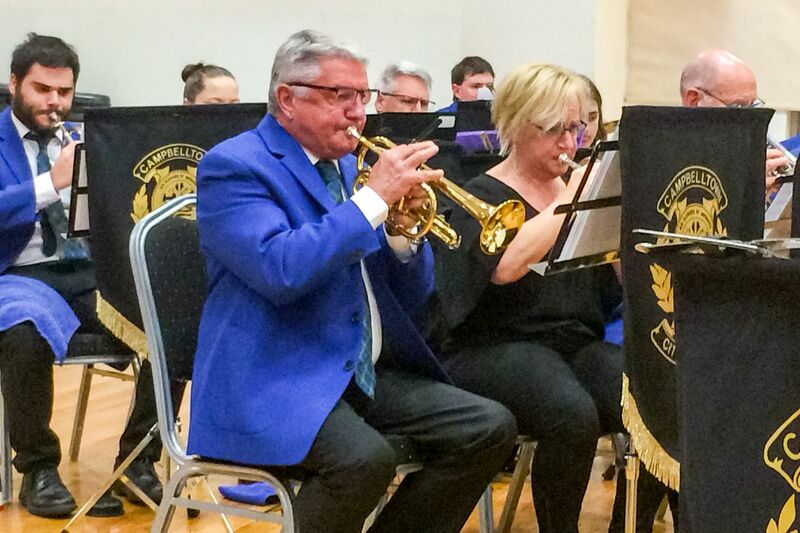 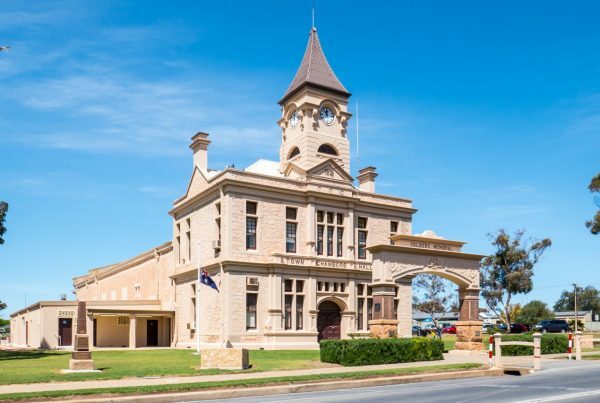 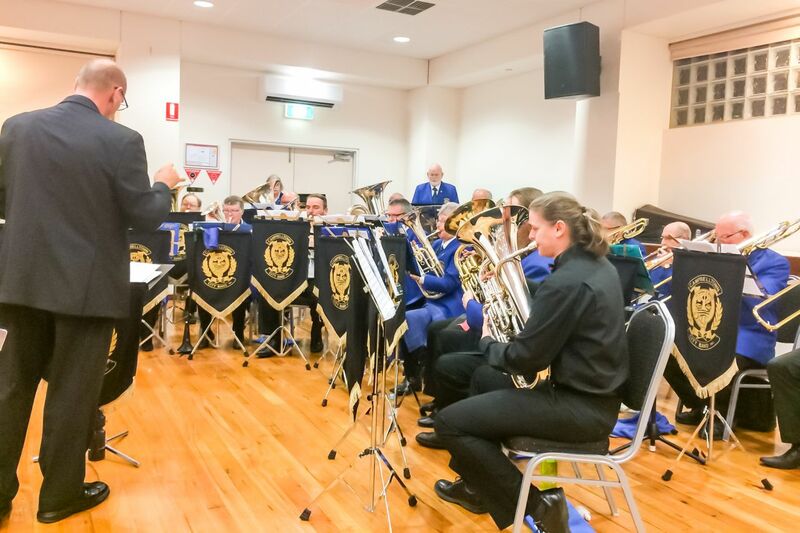 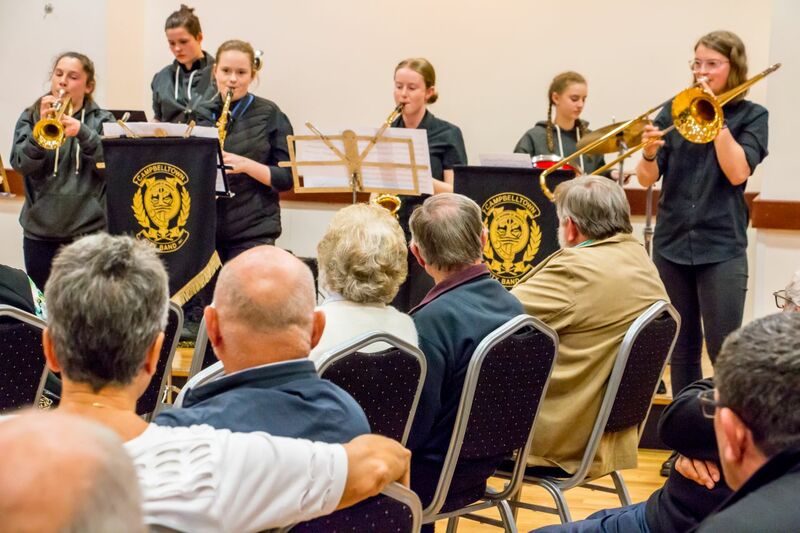 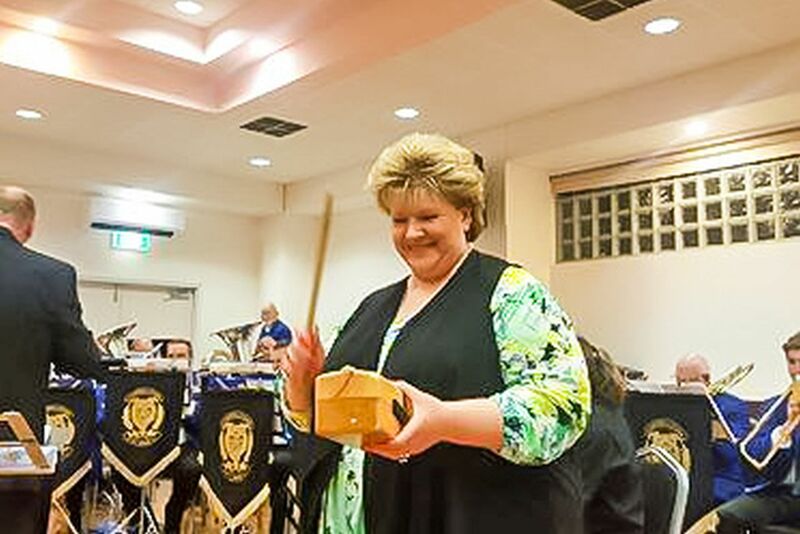 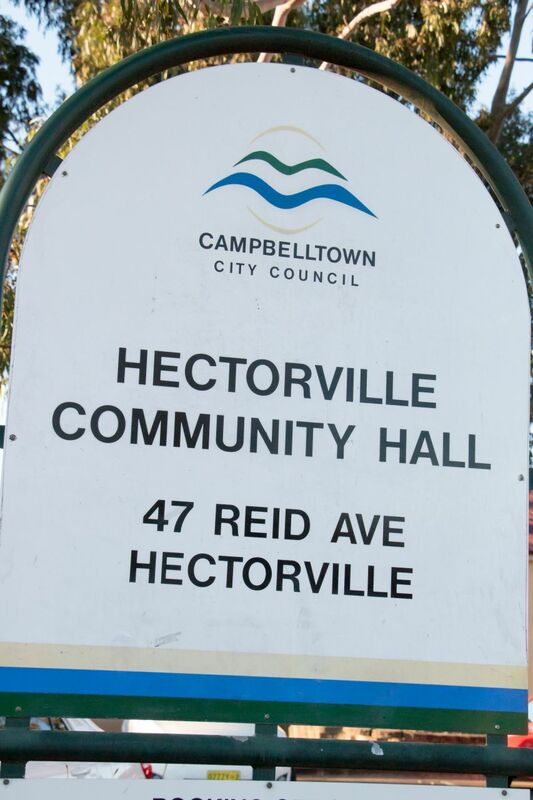 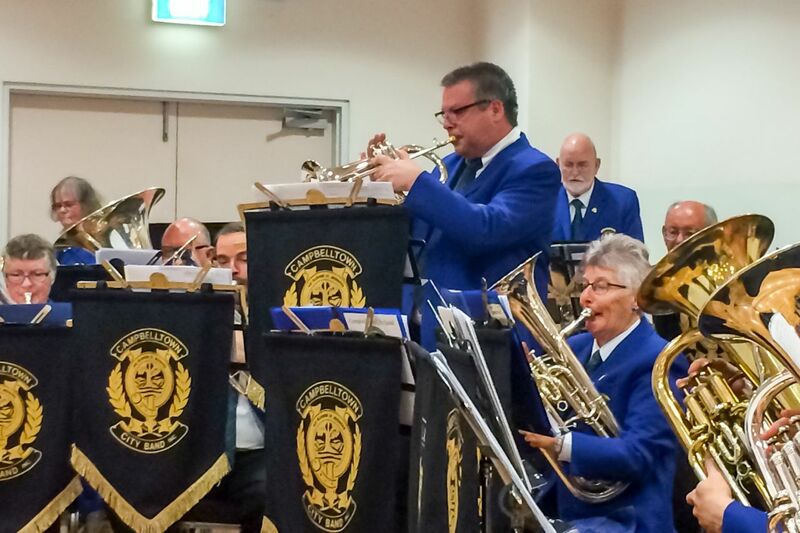 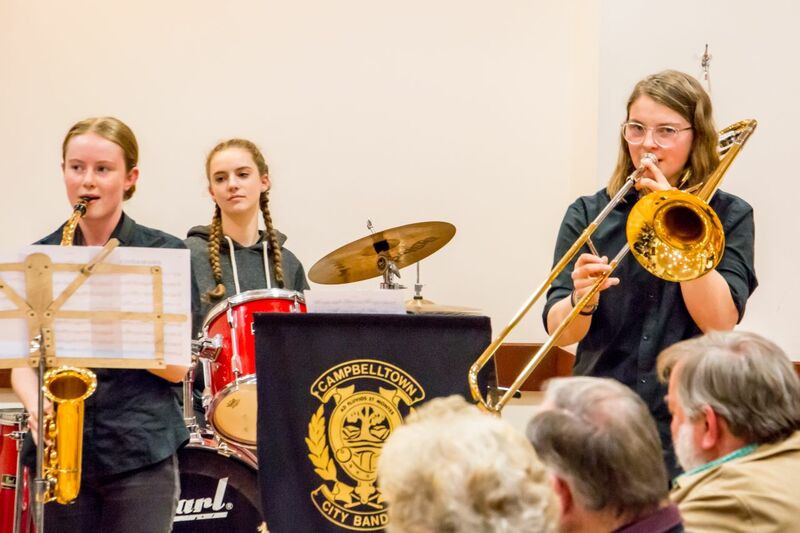 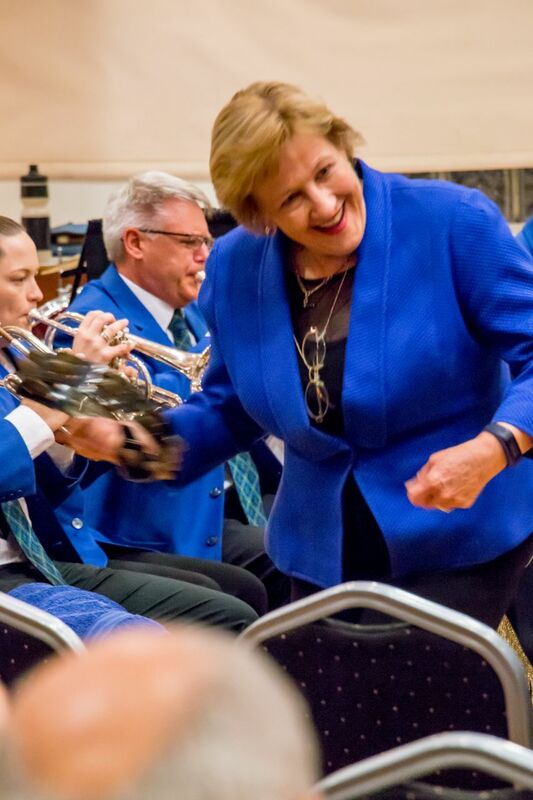 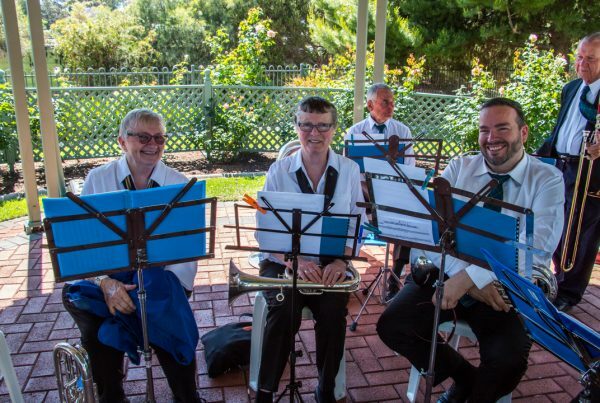 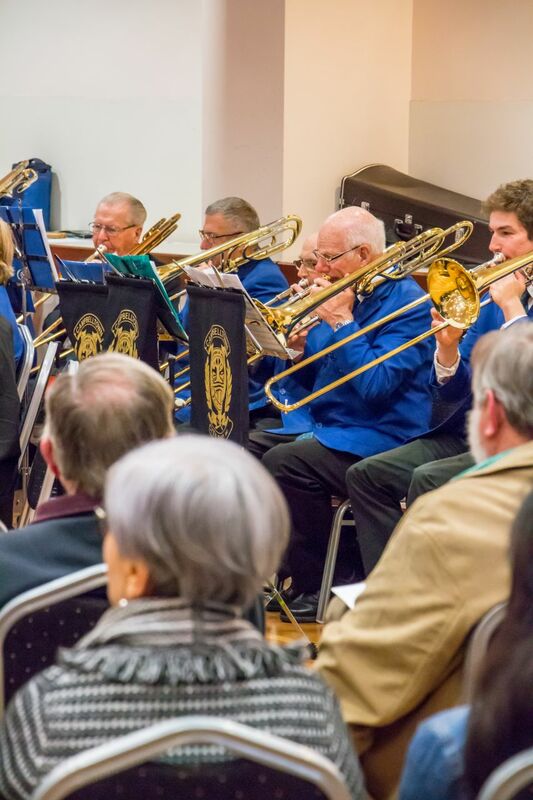 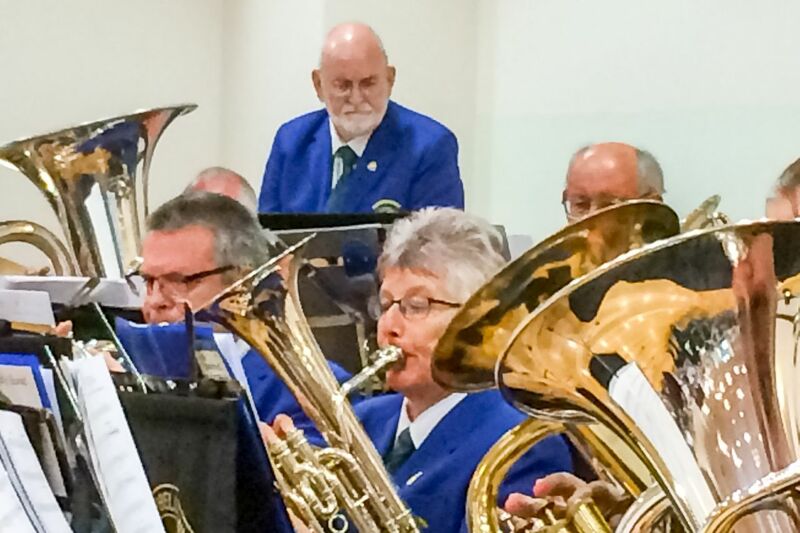 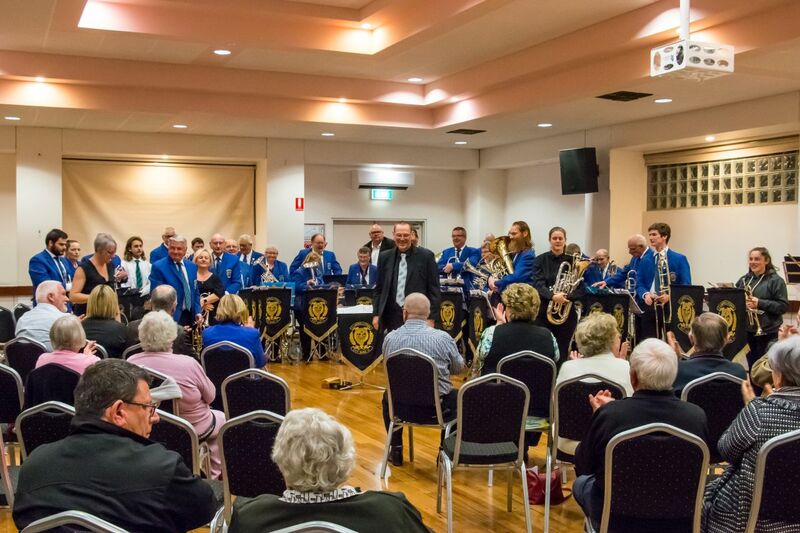 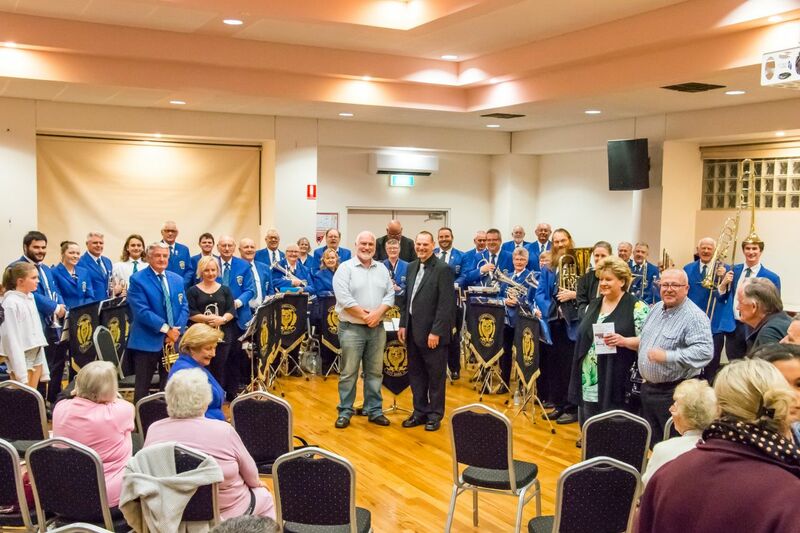 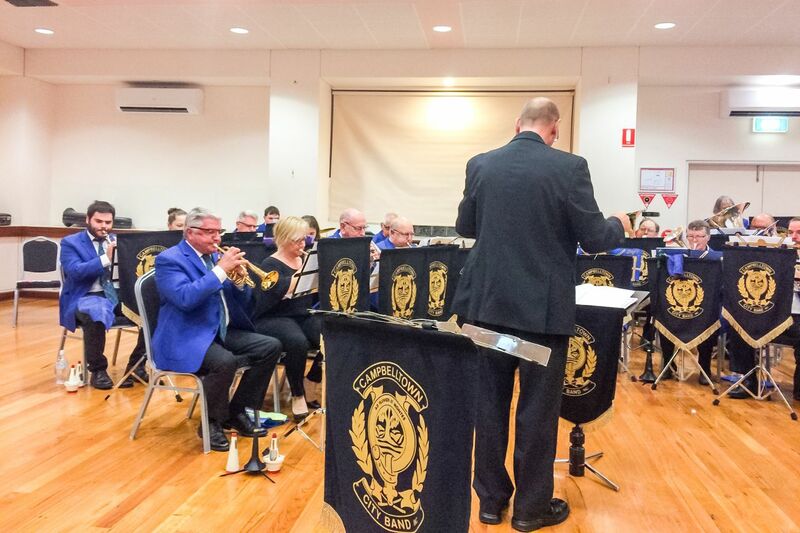 The venue for this concert was the Hectorville Community Hall as our usual venue – the Campbelltown Function Centre – was unfortunately not available. 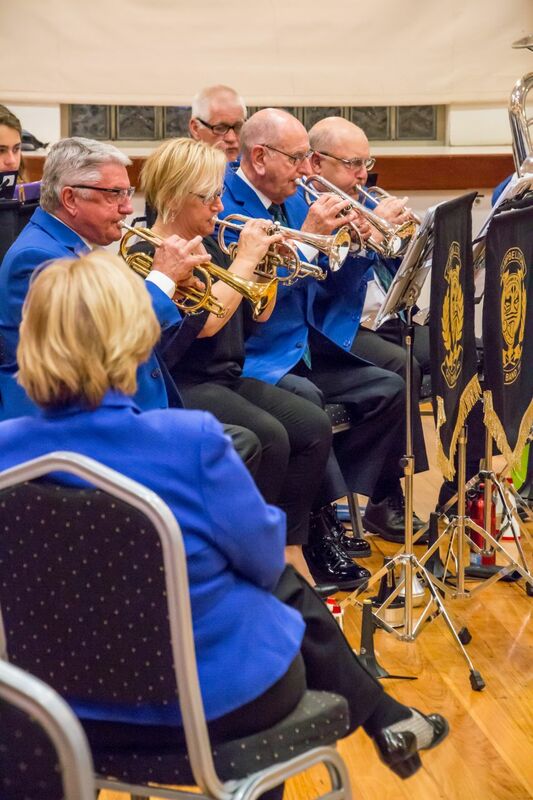 Playing in a different environment is always an interesting challenge but the hall was rather nice and when filled with an audience sounded great. 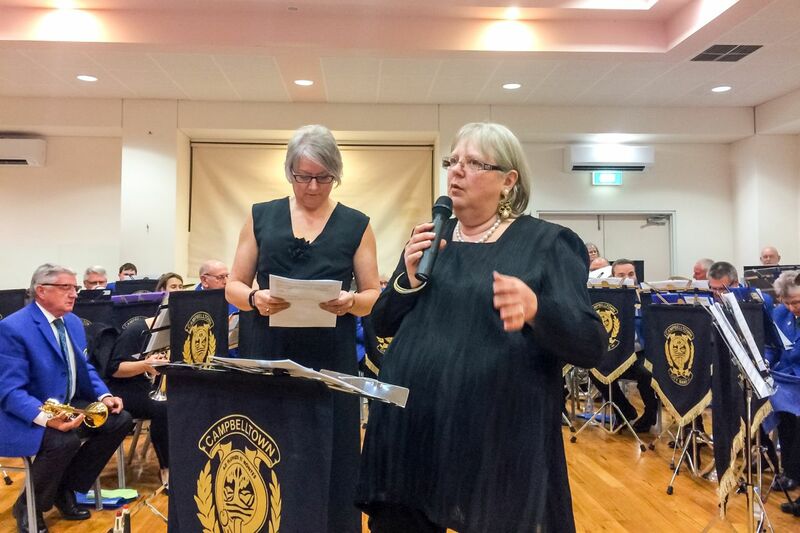 Our wonderful comperes for the evening were the ever-knowledgeable Sue Smith and the brilliantly charming Viv Little. 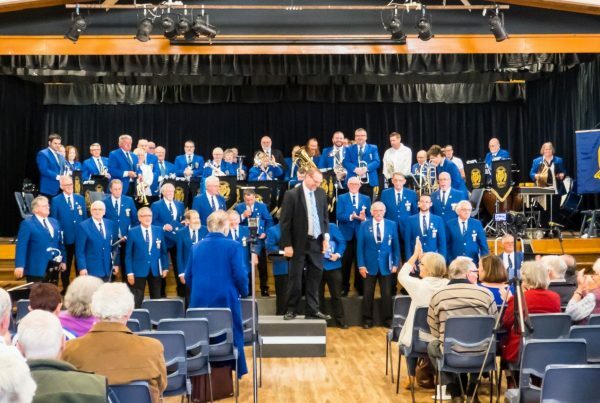 Kicking off the evening was the toe tapping Midway March followed by the titular 1959 epic theme from Ben Hur. 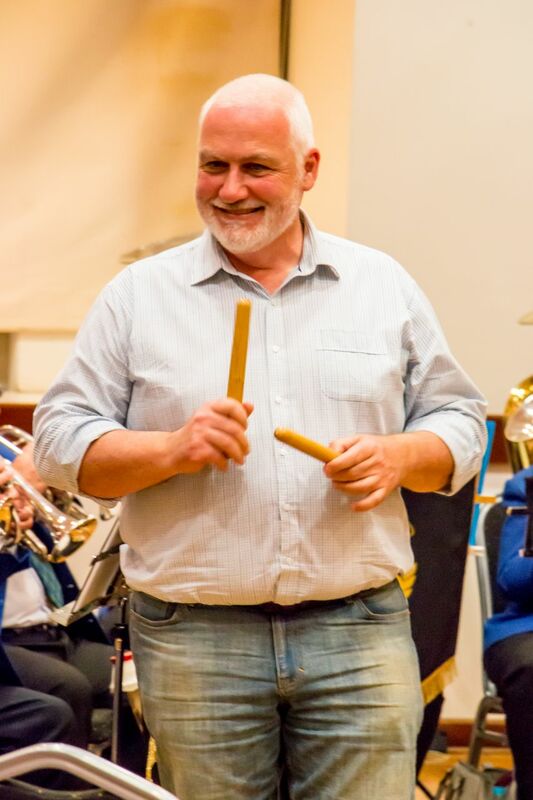 The music for Ben Hur was written by Hungarian-American composer Miklós Rózsa and won him his third Oscar in his career. 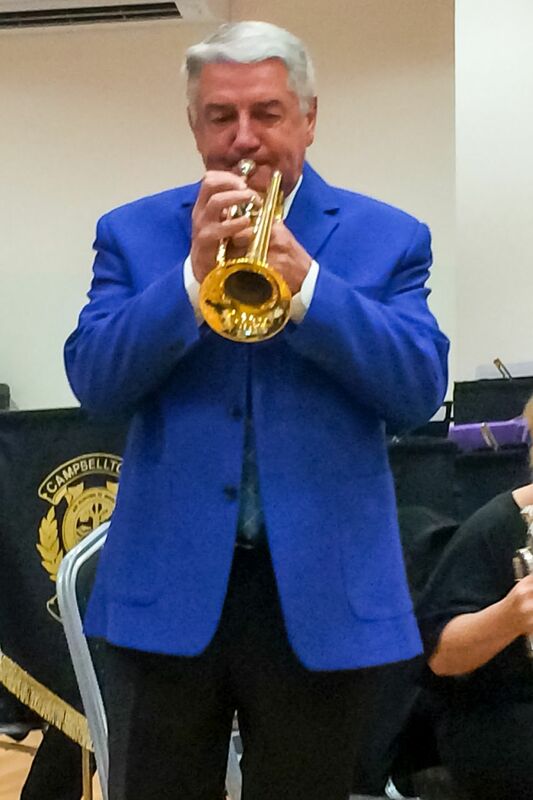 Following up this epic theme was the jazz standard Body & Soul played by our lead cornet player Gary Boland. 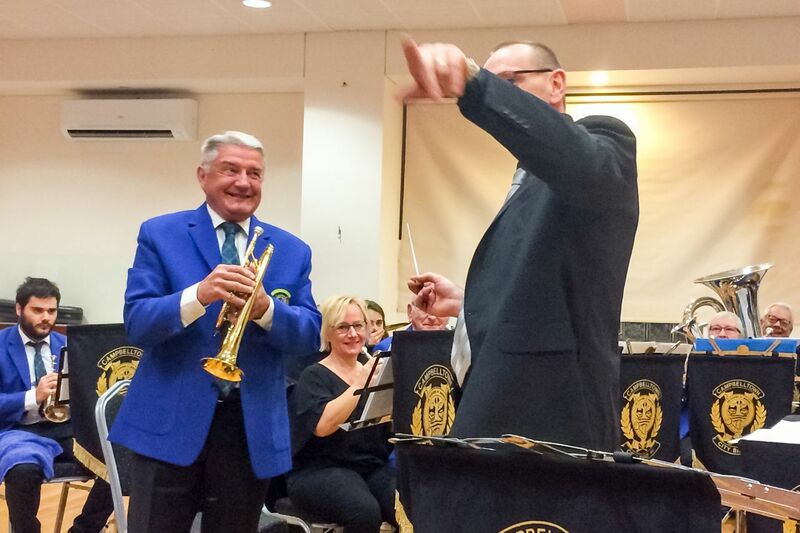 As always, his rendition – especially from memory without reading music – left the audience wanting more. 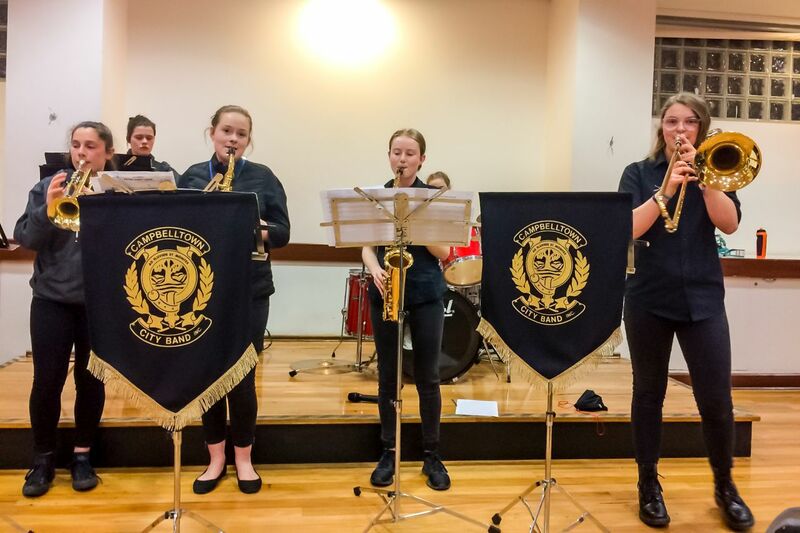 DaDux were up next, showcasing Darcie and Emily on Saxophone, Loui on Trumpet, Jenn on Trombone, Zoe on Bass and Abi on drums. 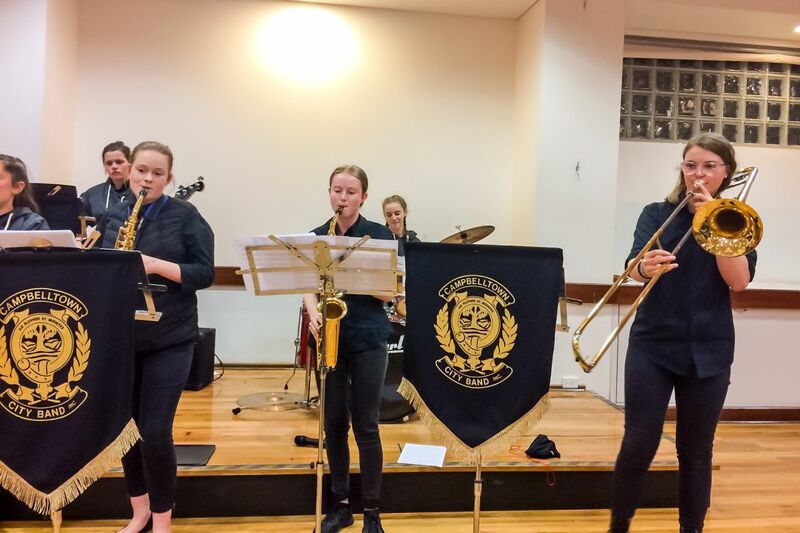 Their first set of the night kicked off with Drumadics, followed by RVA and then Coco. 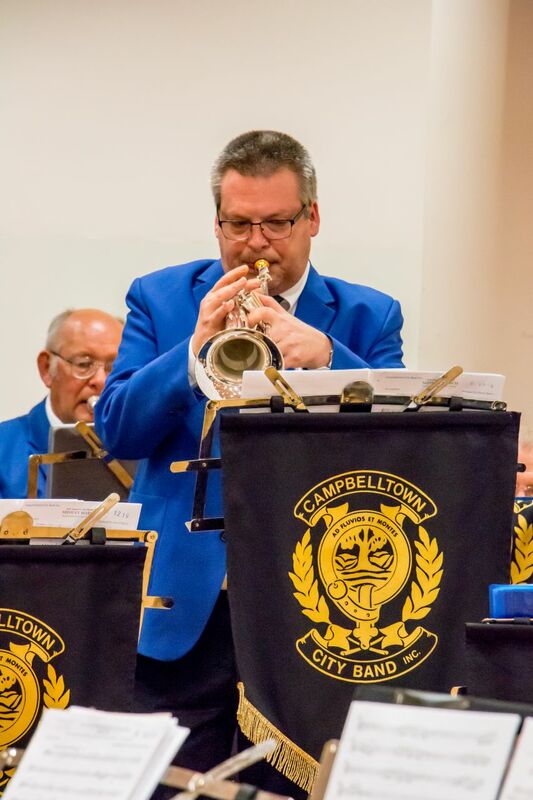 Breezin Down Broadway was the next song the band played – it’s a medley of popular tunes including ‘Another Opening, Another Show’, ‘There’s No Business Like Show Business’, ‘Get Me To the Church on Time’, ‘Oklahoma’, ‘That’s Entertainment’ and ’76 Trombones’. 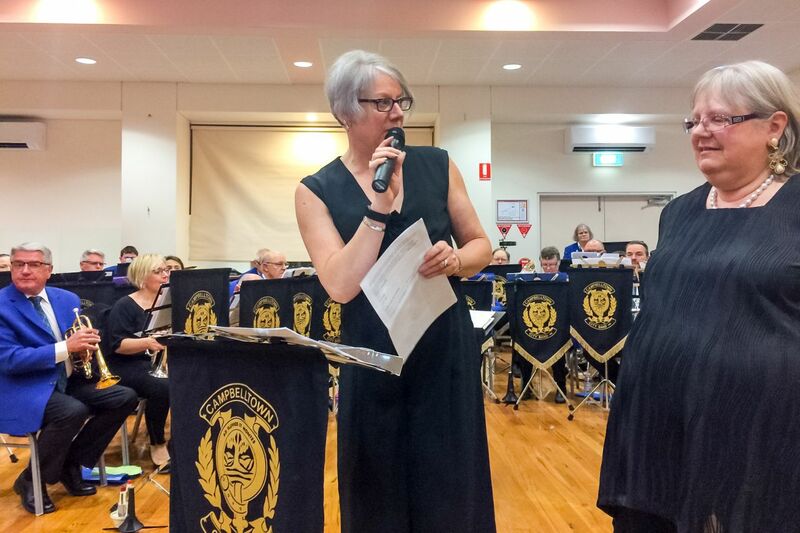 Next up was the laid back Blue Moon followed by a chart on the other end of the spectrum that was made hugely popular in Australia by Michael Buble in 2004 – Sway. 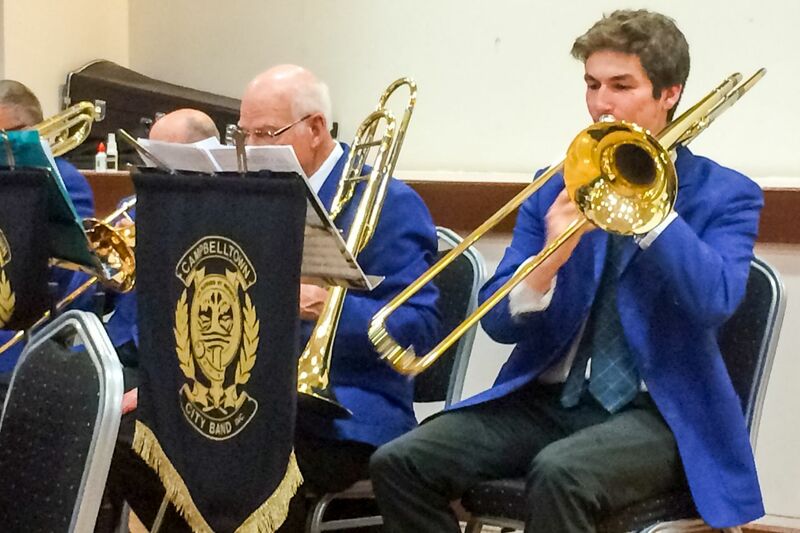 In today’s concert, Sway was performed by our very own Michael Buble – Adam Little on flugel. 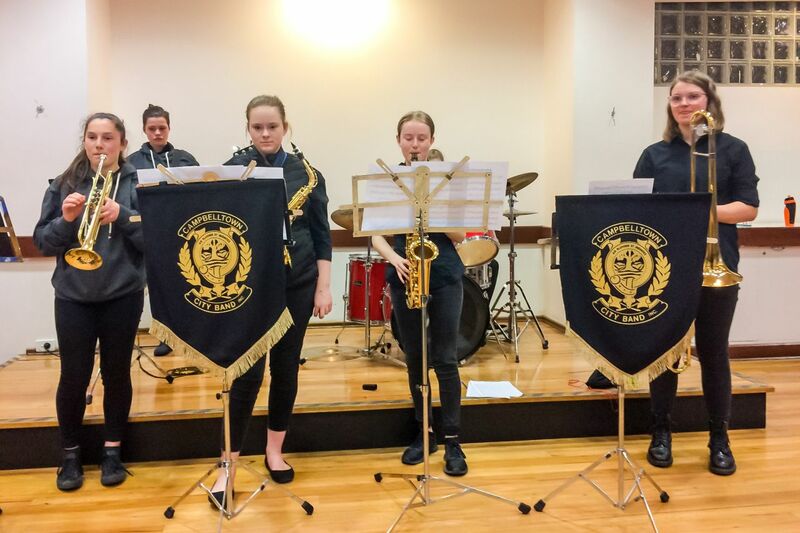 After a brief interval, it was time to bring out our stage march that we played in the recent state band championships – Barnard Castle. 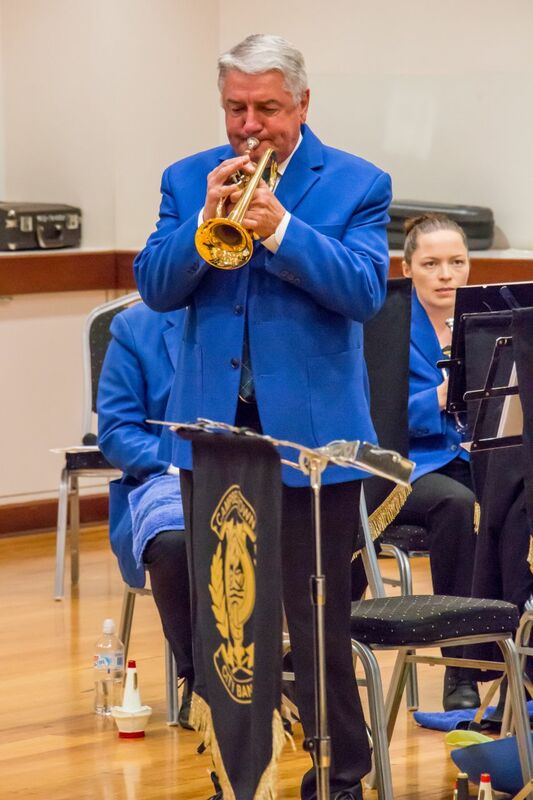 The theme from Air Force One was next, music from one of Harrison Ford’s famous action movies from the 90’s. 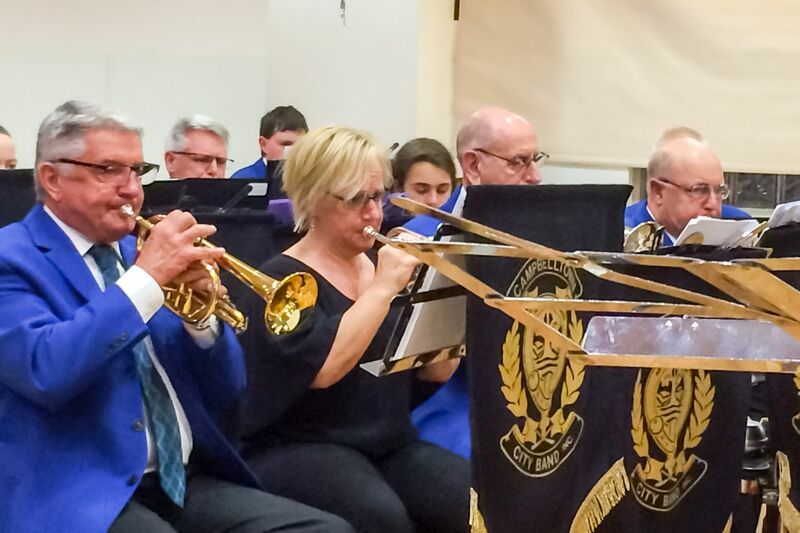 Finishing up the third quarter was the theme from The Mission, also known as Gabriel’s Oboe. 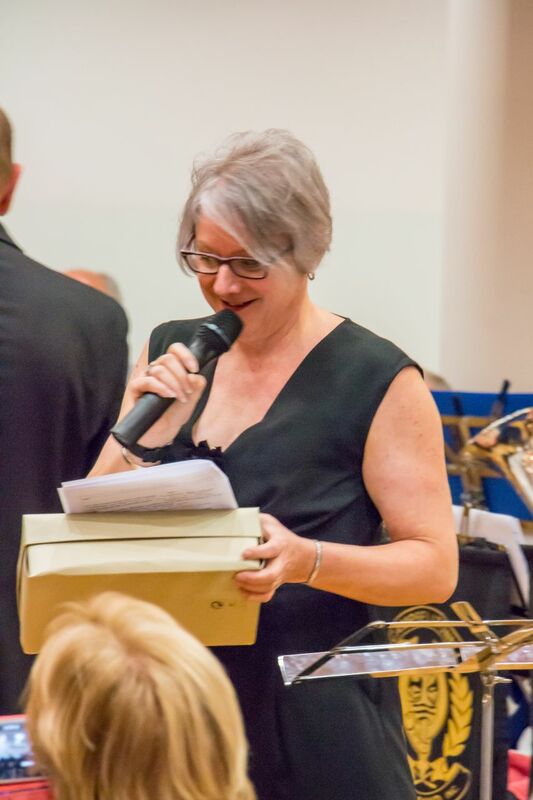 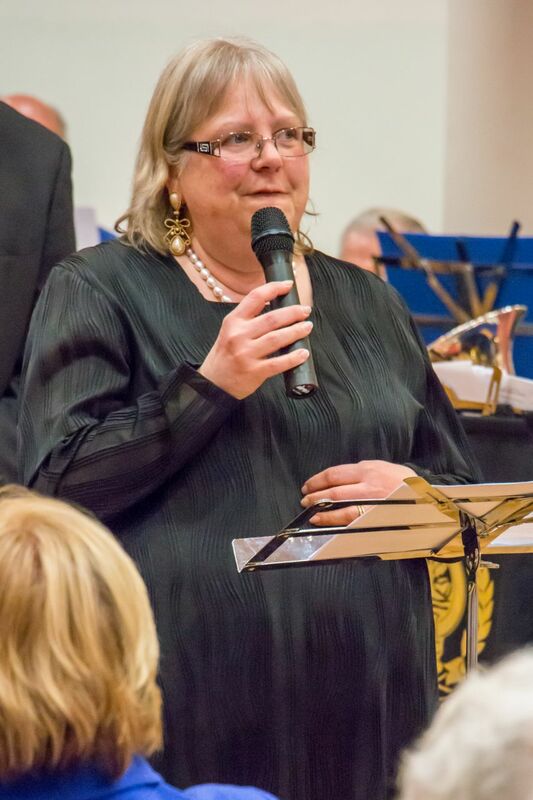 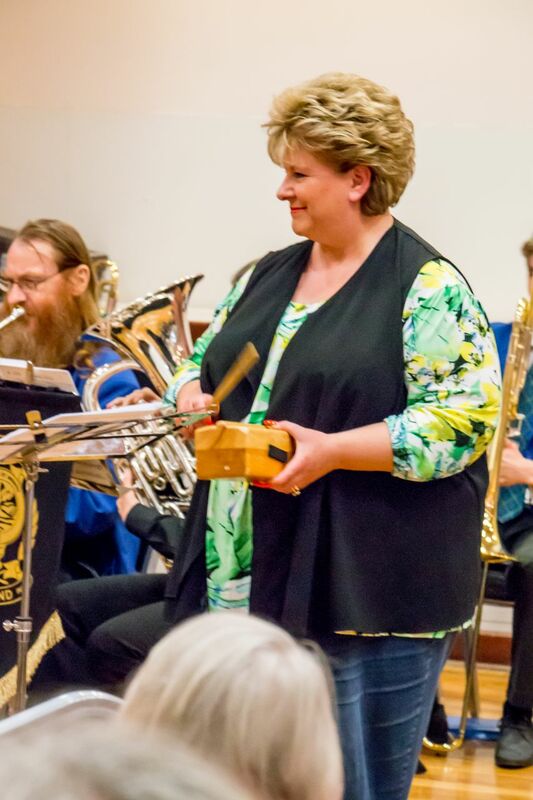 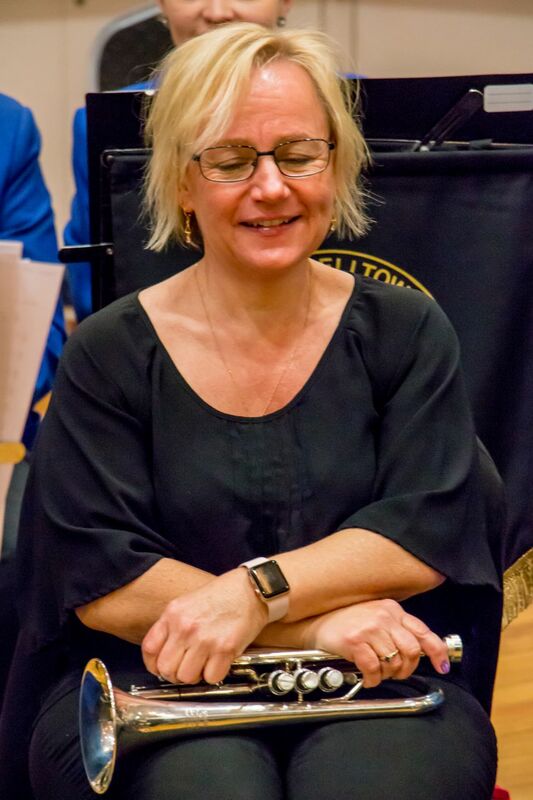 Our rendition was performed superbly by Julie Dorey on Cornet, leaving the audience speechless. 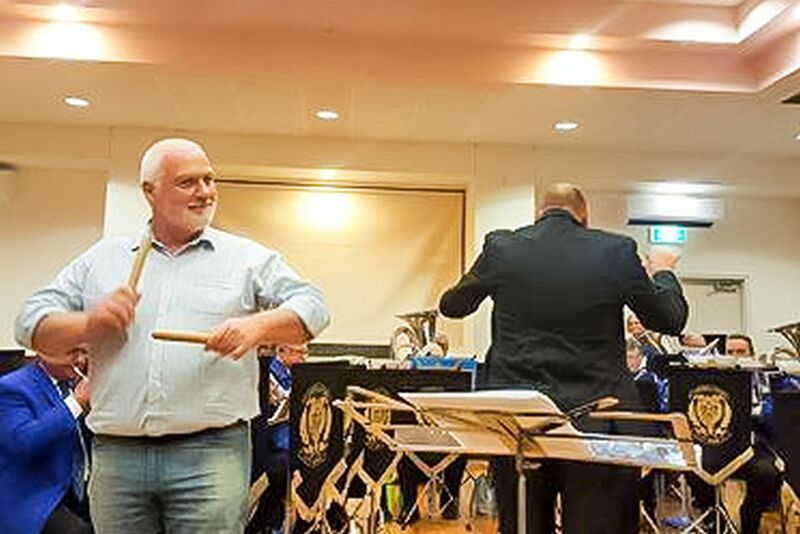 DaDux’s final set with us for the evening came next, showcasing their wonderful playing that won them second prize at the recent Battle of the Bands. 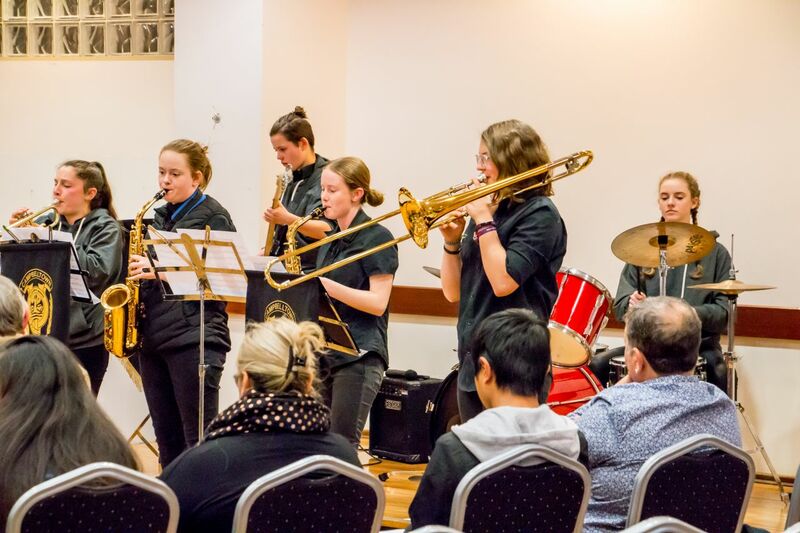 Danza was first, followed by 3am Bounce and then an original arrangement by their drummer Abi called Barbirusa. 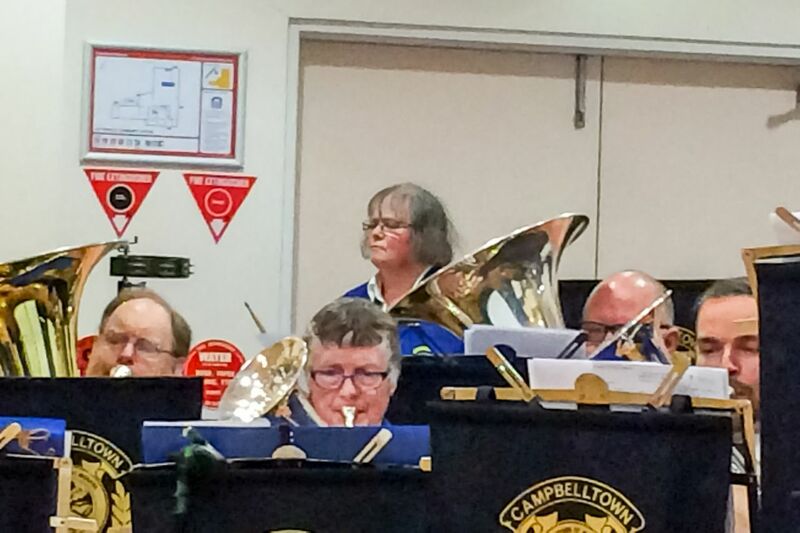 Their final chart for the evening was Without You. 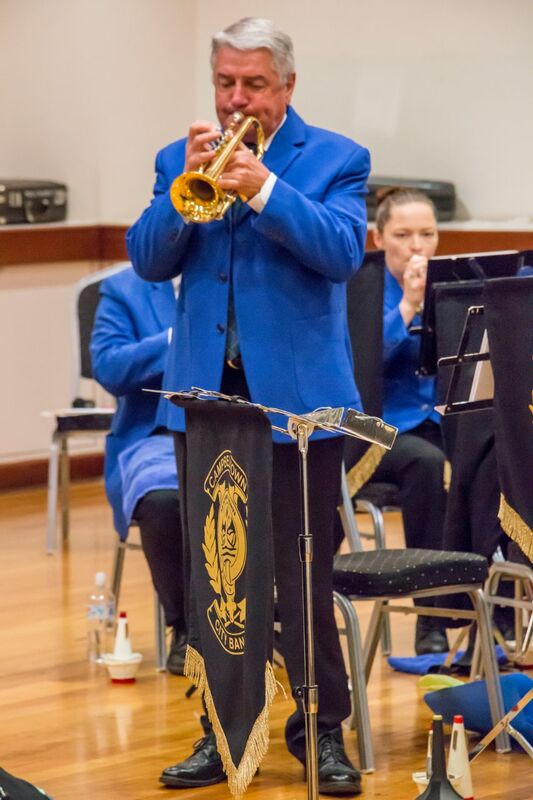 Returning to the stage, we started our final bracket with Adam Little on flugel performing a beautiful rendition of Music of the Night, the classic piece from Phantom of the Opera by Andrew Lloyd Webber. 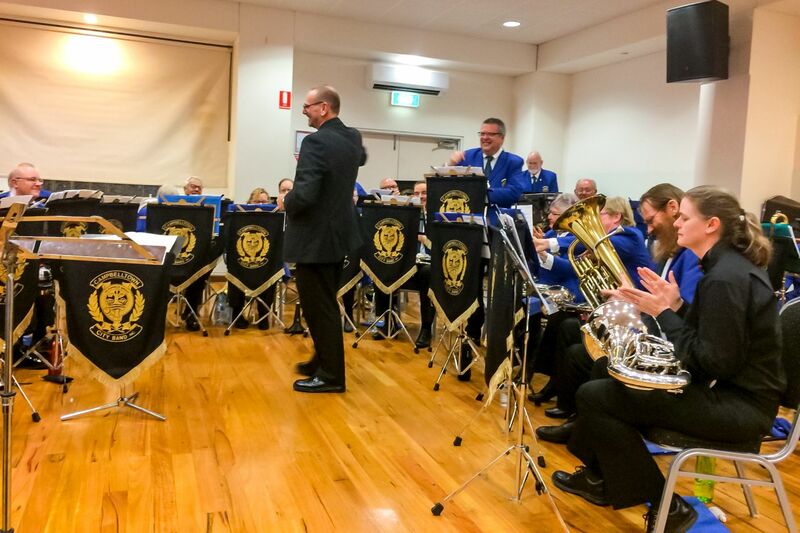 Our final piece Mission: Impossible closed off the evening – or so the audience believed. 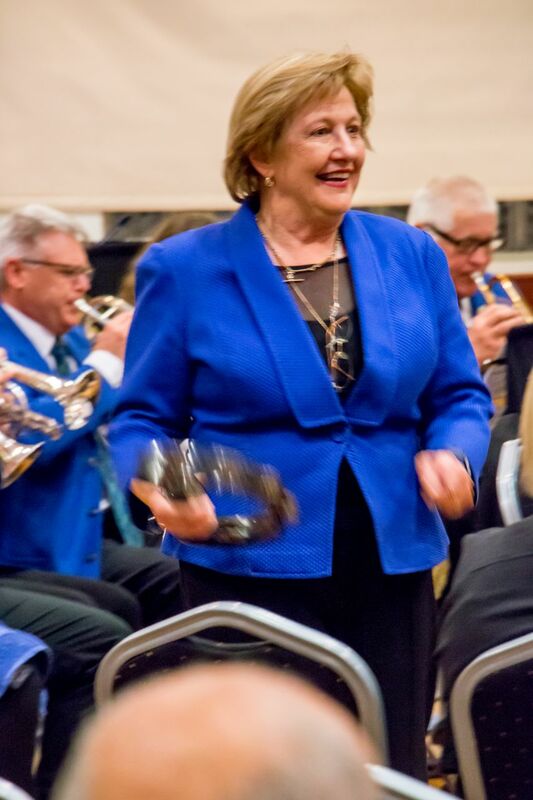 With many shouts of “Encore!” and “More!” we decided to succumb to the crowd’s wishes – lucky we’d prepared for this very occasion and off we went with the Can Can, bringing our illustrious Patron and Mayor Simon Brewer on stage along with mayoral nominees Jill Whittaker and Marijka Ryan on claves and woodblock for added percussion! 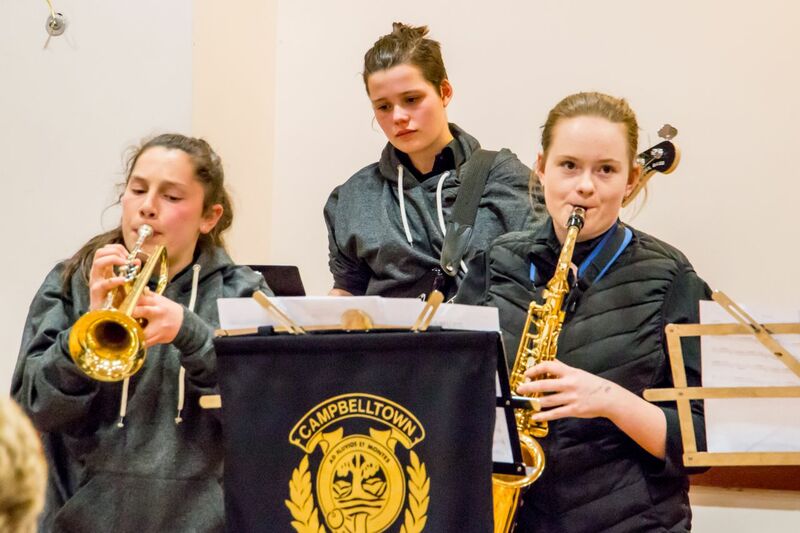 Finally, who can wrap up a concert without an encore with our special guests DaDux, who’s bass guitarist Zoe kicked it off with the famous chords from the theme from the Peter Gunn TV show. 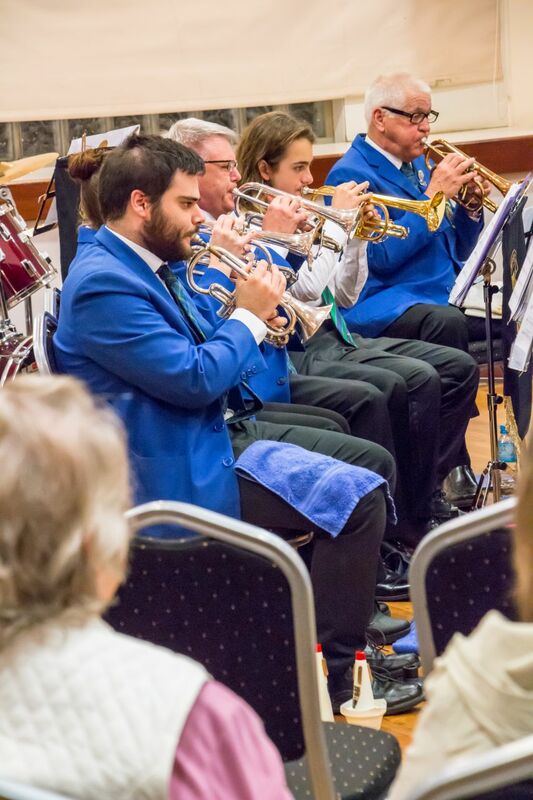 Solos performed by some of the DaDux members were played to great cheers from the audience and much applause! 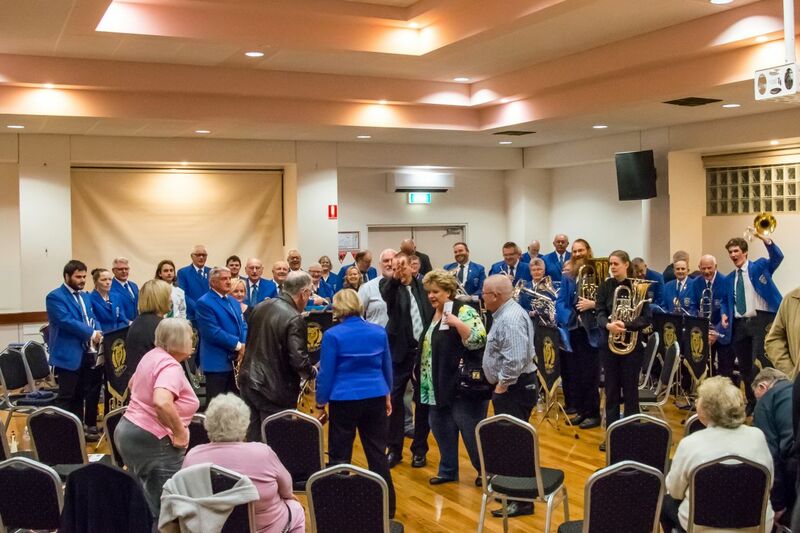 Thank you to all involved in this event, from the Campbelltown council who assisted locating another venue, to Robbie our photographer in residence through to Kaylene, Rosanna and the team on the door and tea/coffees – without your assistance it would be impossible to put on a concert like this.